These unique studs feature pearls set in an open triangle. 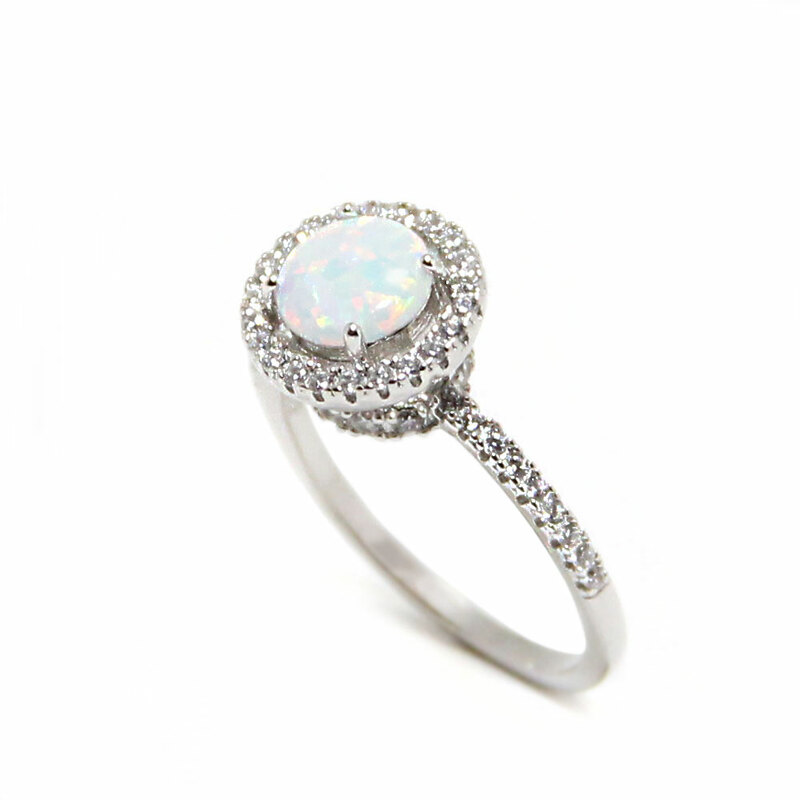 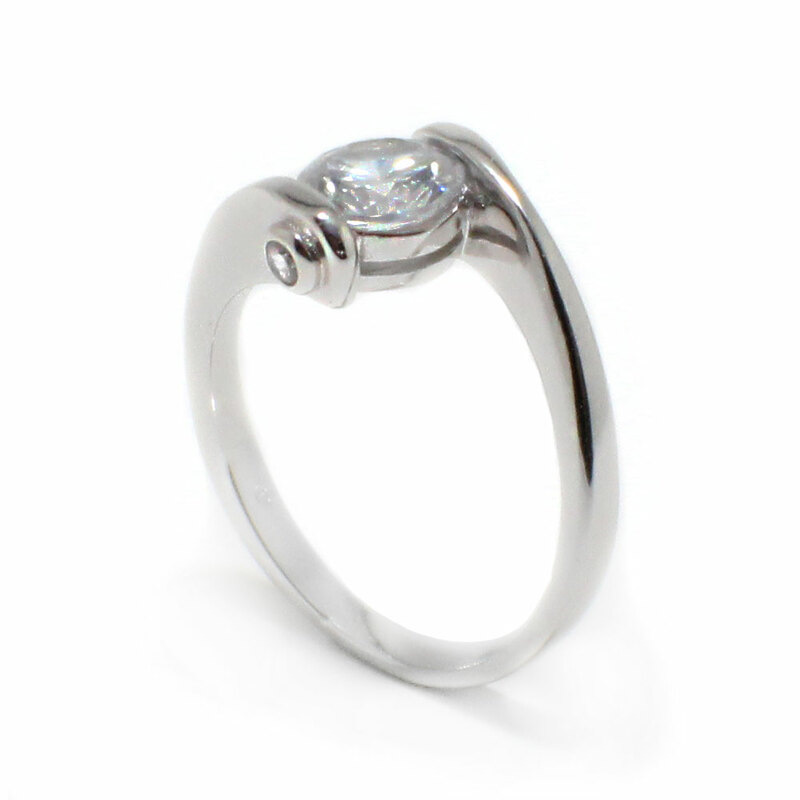 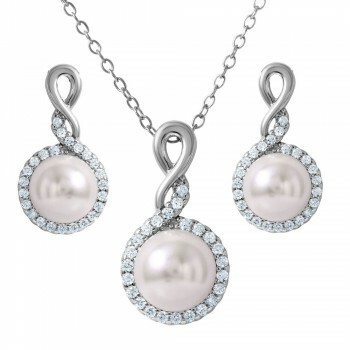 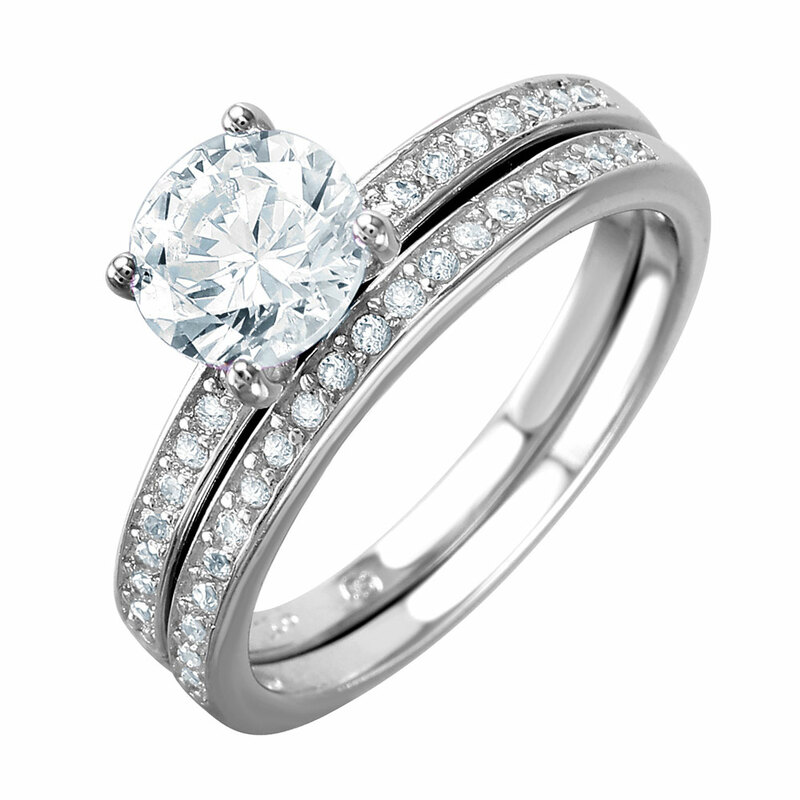 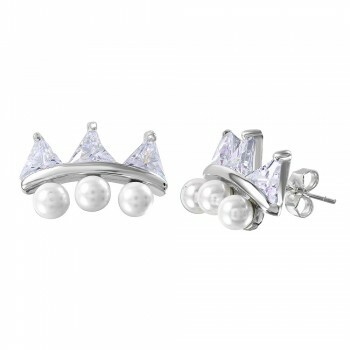 The triangles surrounding the pearls are encrusted with 50 clear 1mm CZ stones. 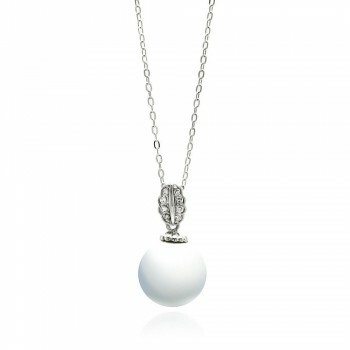 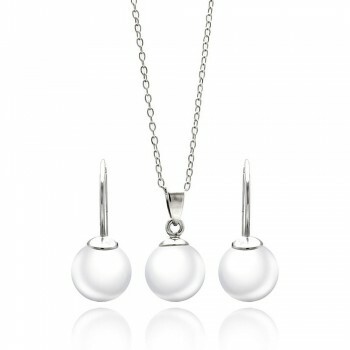 The white synthetic pearls measure 9mm in diameter. 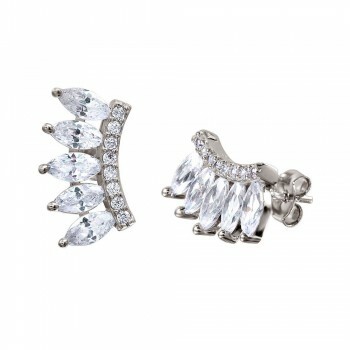 The earrings are 18mm long and 15mm wide. 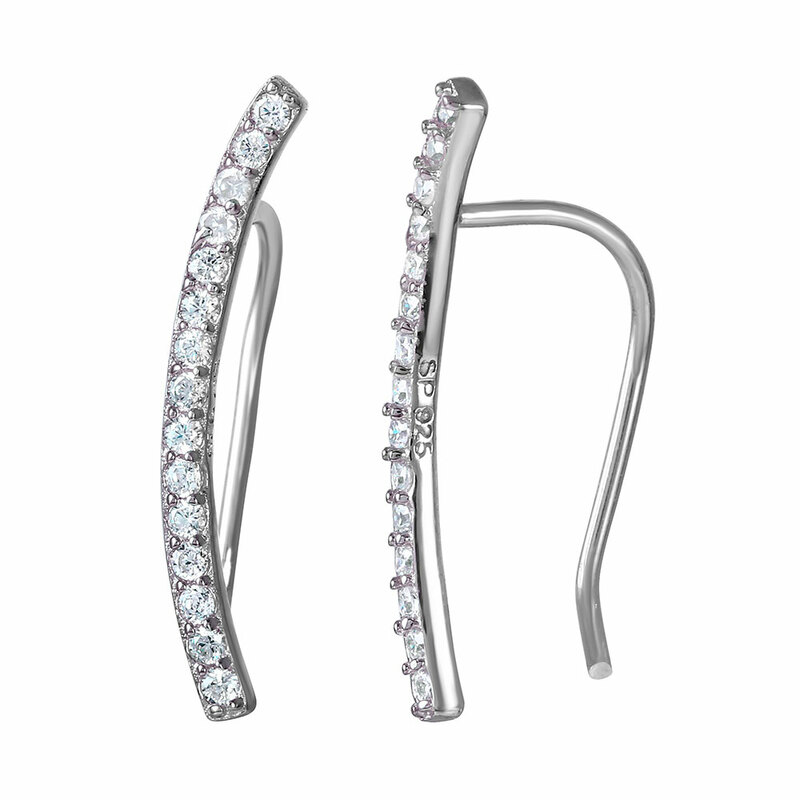 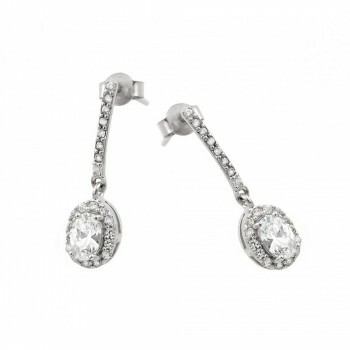 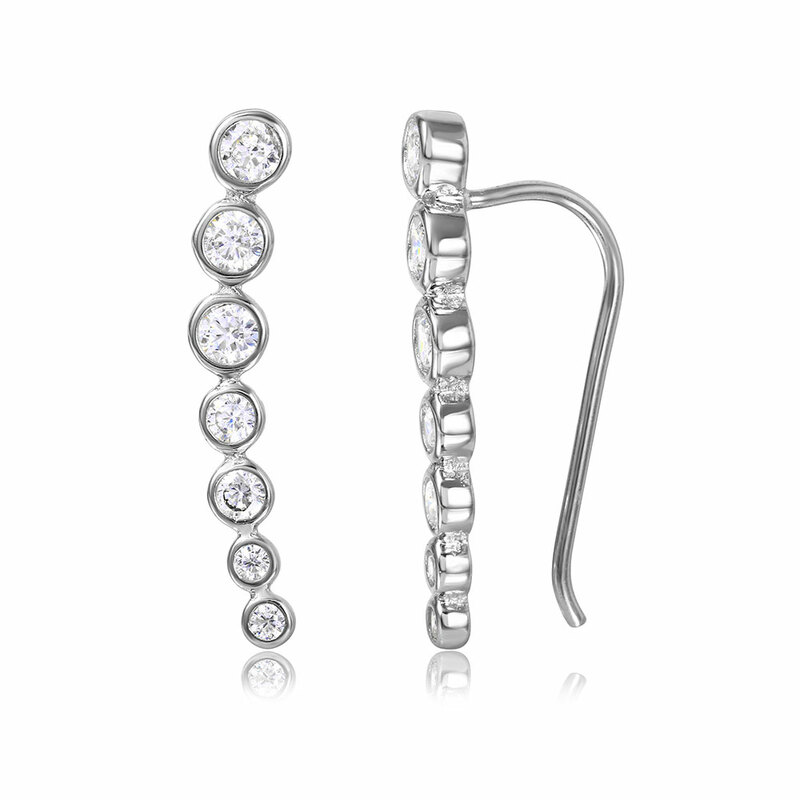 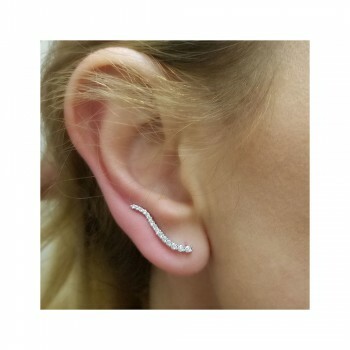 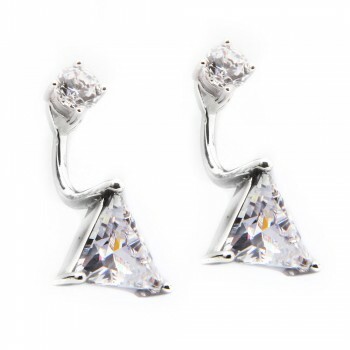 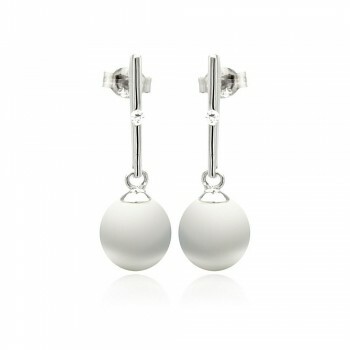 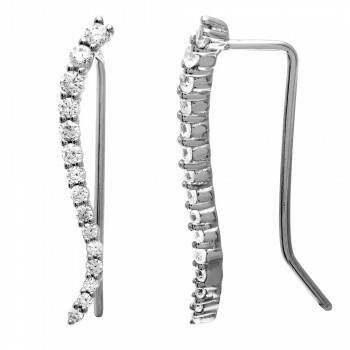 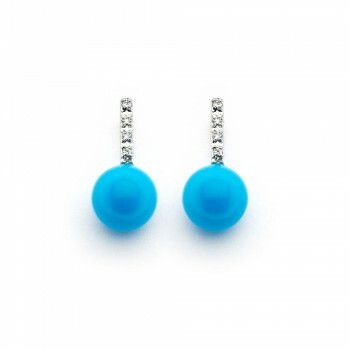 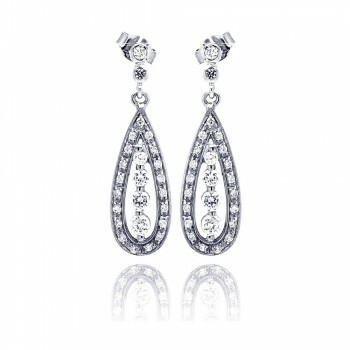 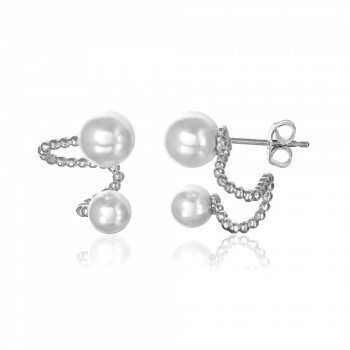 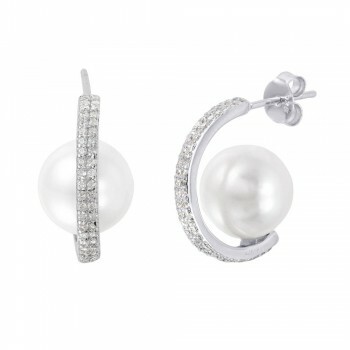 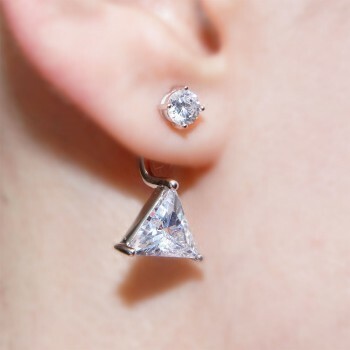 Pair these earrings with a pearl or triangle necklace for a cohesive and glamorous look. 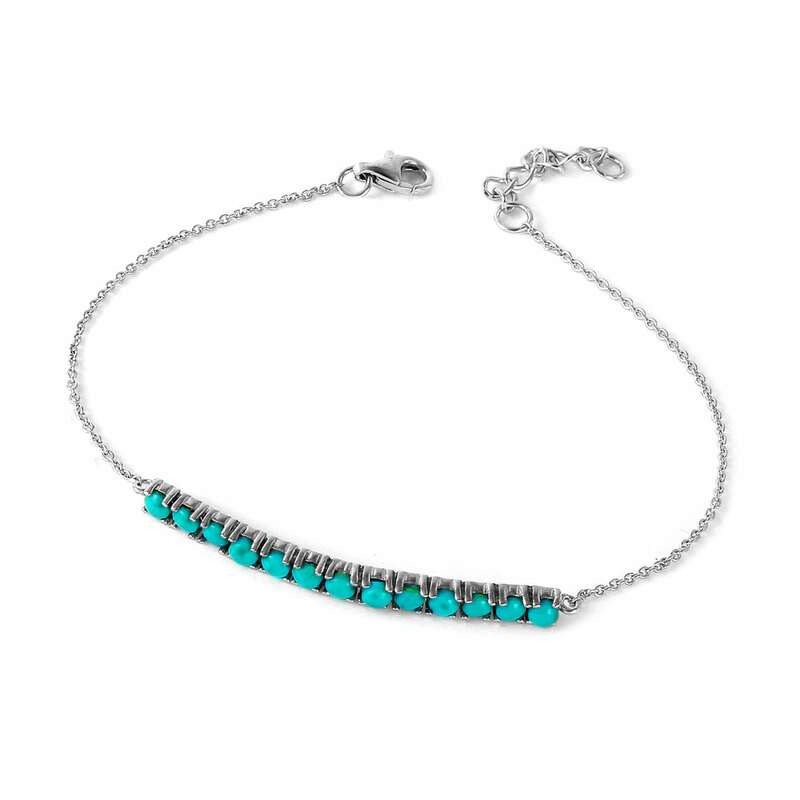 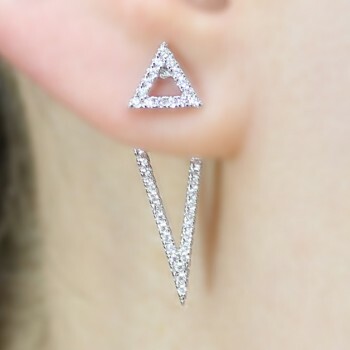 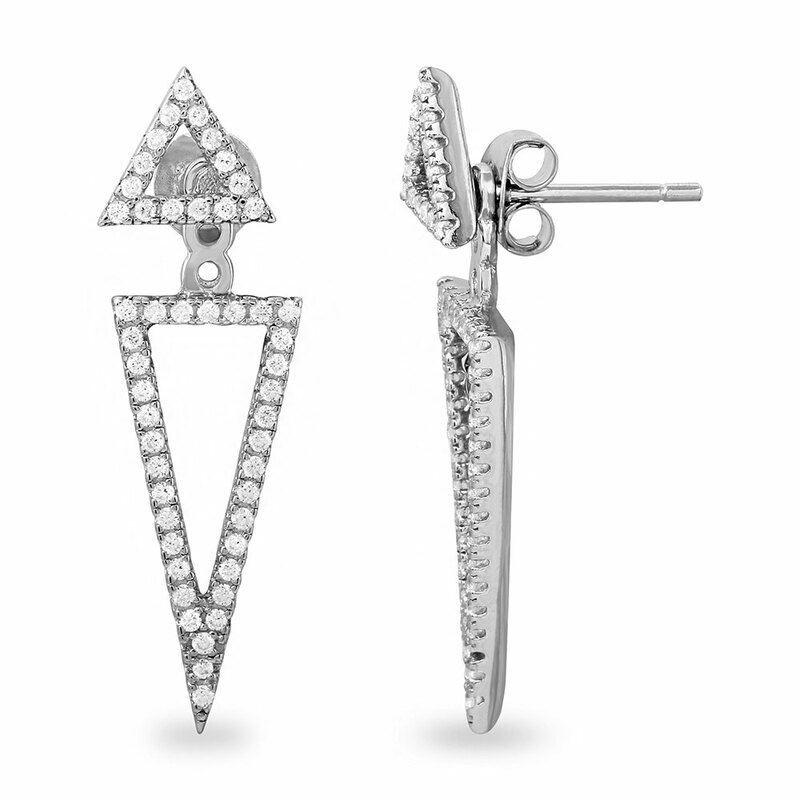 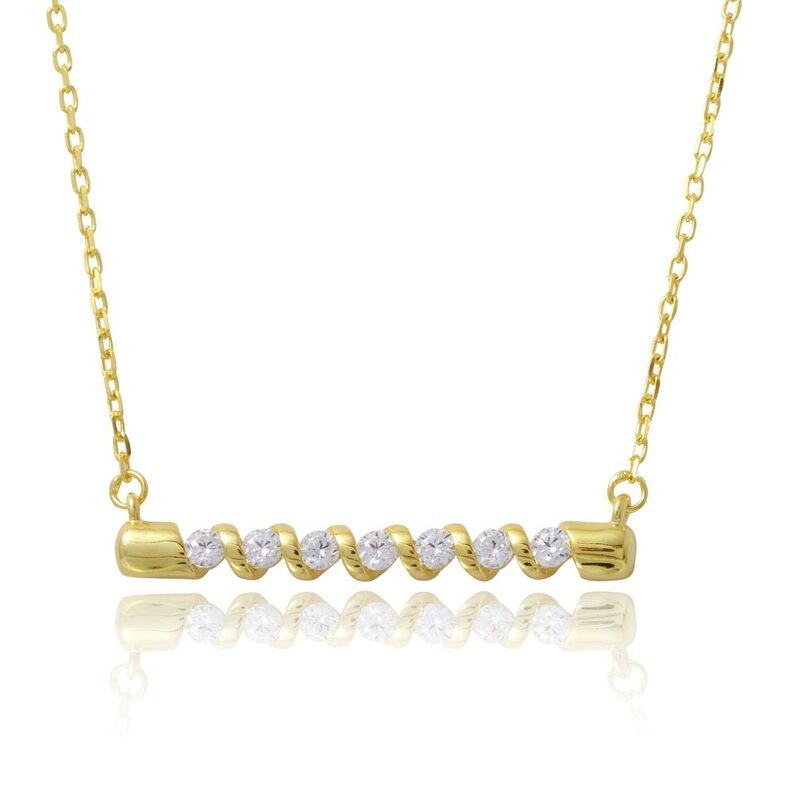 The open triangles in this set make the studs trendy. 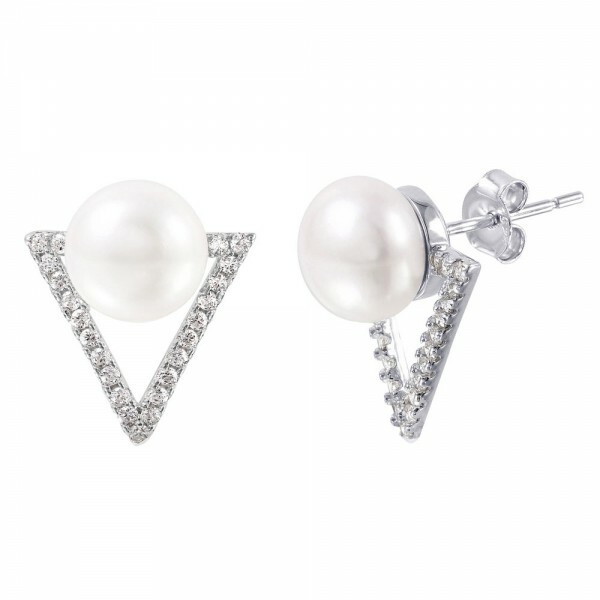 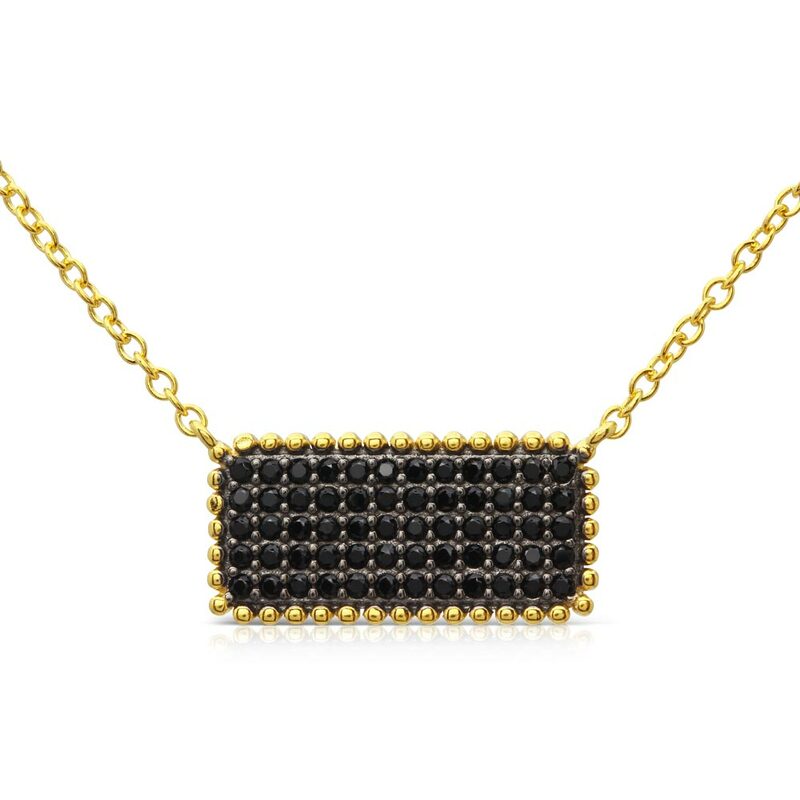 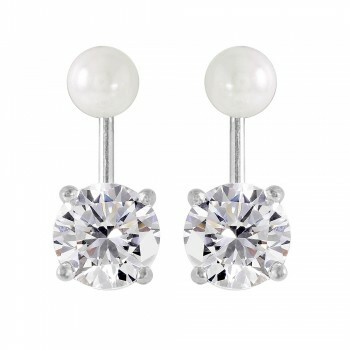 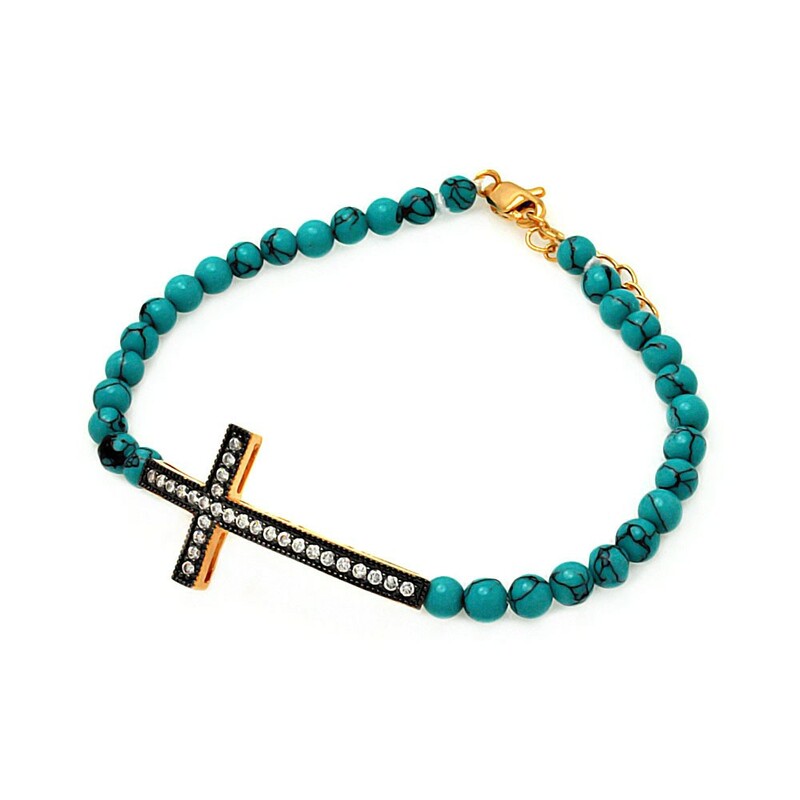 The pearls give these studs a timeless elegance. 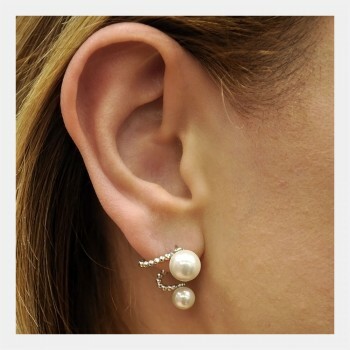 These open triangle pearl stud earrings are made with high quality rhodium plated sterling silver. 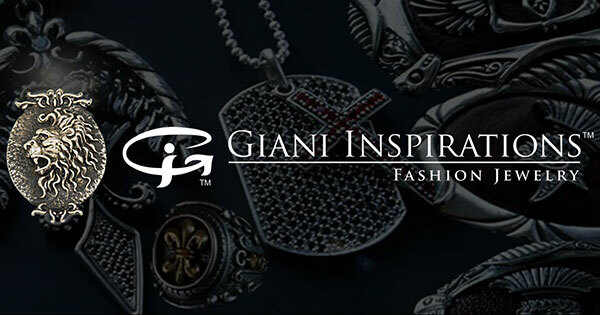 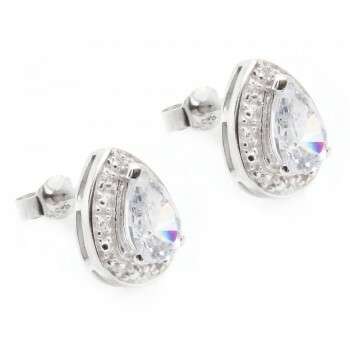 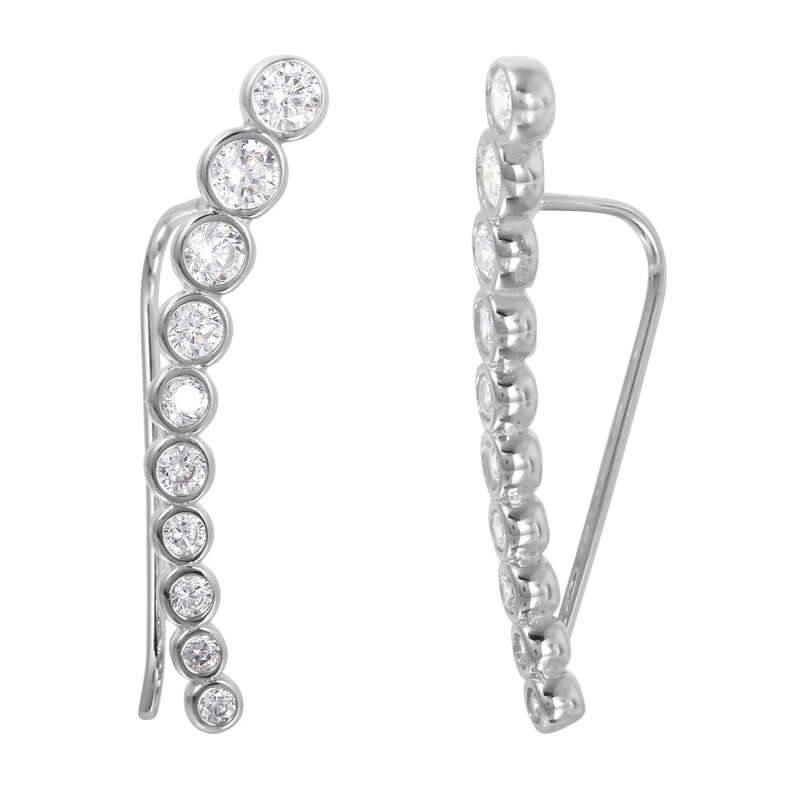 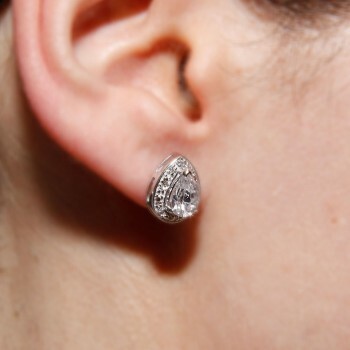 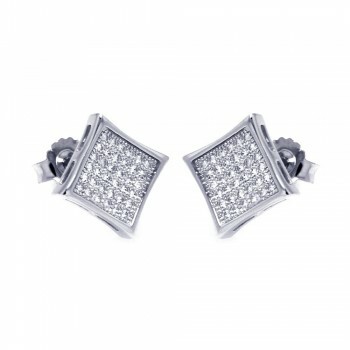 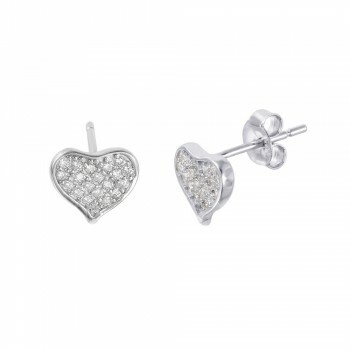 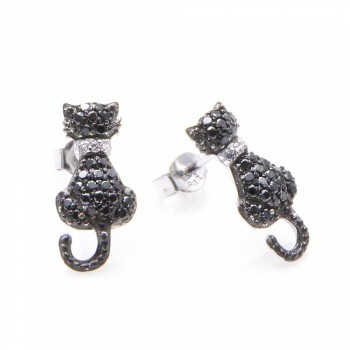 Wear these studs with any formal or casual outfit.